Jellies Archives | Rasta Bros. 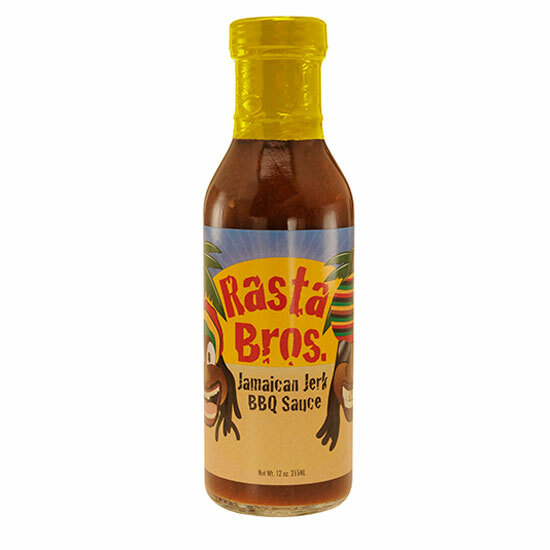 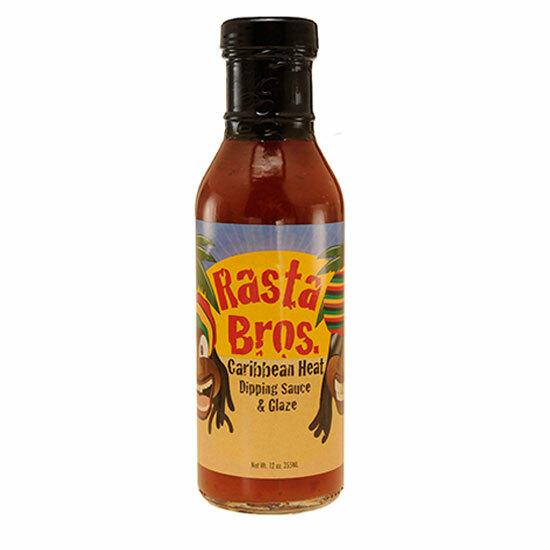 The soothing cool spicy flavors of Rasta Bros. traditional spicy-sweet condiment based on the famous hot and flavorful Jamaican Scotch Bonnet Pepper. 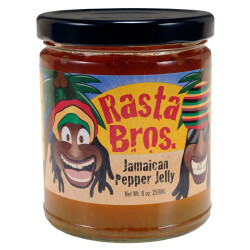 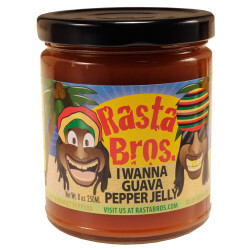 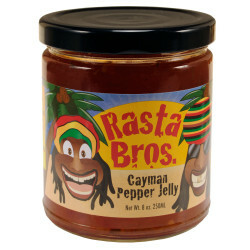 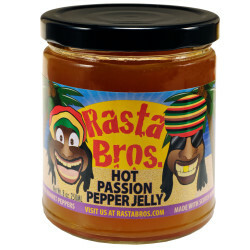 Rasta Bros. Pepper Jelly is the perfect accompaniment for all meats, hot or cold, and excels when mixed with cream cheese for canapes or used as a spread or a dip. 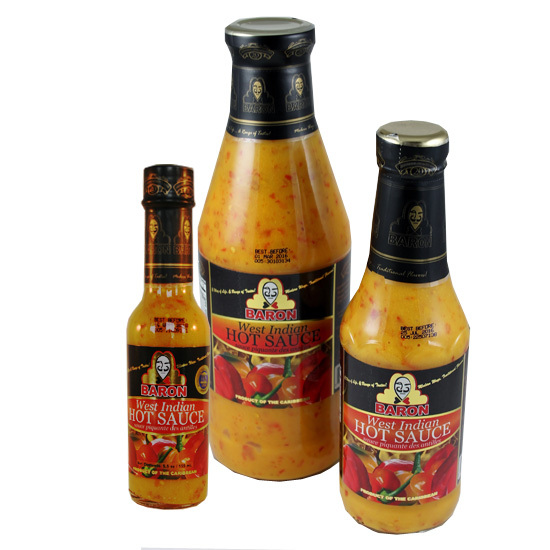 It also make a superb glaze for meats and vegetables.